Four comics finished and posted, one comic for each person that actually looks at this site. 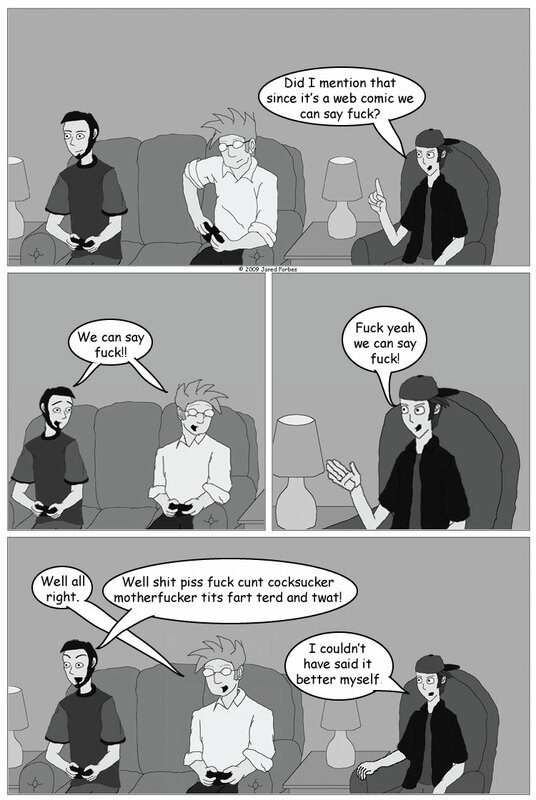 Be warned, this comic features naughty language, language that can be seen here. I miss you, George Carlin.